We’ve Got You Covered on Land and Sea. We offer an array of complementary, fee-included and a la carte resources that are vital to active boaters. In addition to the resources listed below, our members’ club and newsletters keep you up to date on any specials or activities being offered by local restaurants, hotels, merchants and municipalities. If you have questions regarding our services, contact one of our managers. The Newburyport Harbormaster can be reached at 978.462.3746. The USCG Merrimack Station can be reached at 978.465.0731 or VHF channel #16. If you have questions regarding our services, the Newburyport Harbormaster can be reached at 978.462.3746. The USCG Merrimack Station can be reached at 978.465.0731 or VHF channel #16. Boatwise offers US Coast Guard approved Captain’s license courses (NO TEST WITH THE USCG), Boating Safety Classes, Coastal Navigation and GPS/Chartplotters/Radar classes, as well as on the water training including docking and maneuvering, on board radar training and night cruising classes. The Stay Local Boat MA transient referral program was established to encourage seasonal boaters to travel to various destination marinas along the beautiful coastline of Massachusetts. Seasonal guests at one of the participating marinas are eligible for dockage/moorings discounts. Group discounts also available. 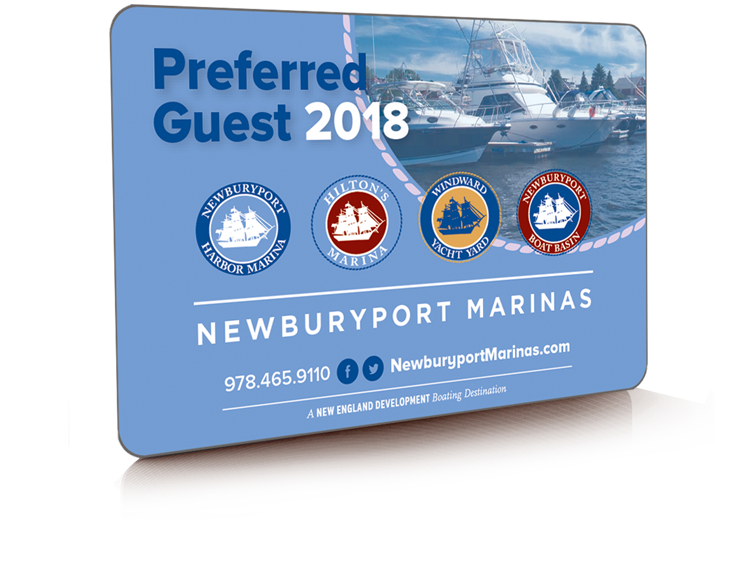 If we do not carry a product at our ship stores located at Newburyport Harbor Marina and Newburyport Boat Basin, see our discount order catalog to take advantage of your 15% off on the various products. Most of the products can be delivered next day. Please call 978.462.3990 or click below for details. Boatwise offers US Coast Guard approved Captain’s license courses (NO TEST WITH THE USCG), Boating Safety Classes, Coastal Navigation and GPS / Chartplotters / Radar classes, as well as on the water training including docking and maneuvering, on board radar training and night cruising classes. All seasonal Newburyport, MA, boaters both on land and in the water are required to purchase a waterway permit for $4 per foot for the season from the city of Newburyport through the Harbormaster’s office. For more information on this permit please contact the Newburyport Harbormaster’s office at 978.462-3746 or click below. Newburyport Marinas requires all boat owners to have boat insurance and to list your specific marina as additional insured for liability purposes. For more information on our insurance requirements please review your dockage license. For suggestions on local insurance companies please inquire with one of our managers. Per order of the Newburyport Fire Department, there are to be no open fires allowed on the docks. You may cook on your own boat at your own risk. Dinghies may be tied to your boat if it does not interfere or obstruct your neighbor or the marina channels. If you wish to or need to keep your dinghy tied to the dock in a separate area there will be a nominal fee charged. There is a designated location in the marina for dinghies. The marina will supply dock boxes for a seasonal fee. Please see a manager to make arrangements for your choice. You will be responsible for the condition of your box at the end of the season so please keep it in good shape. No other dock boxes are allowed. We ask that those of you with air conditioning to please turn your system to the humidistat mode when you are away from the boat. Boats with the air left running 24/7 will be charged for additional electricity. All boat owners must supply their own electrical cords and splitters. Fishing is not allowed off the docks. You may, however, fish off your boat. Please notify a marina employee if strangers set up camp to fish off your docks. Please notify a marina employee if you notice anyone fishing off the docks. Do not confront them yourself. Please keep all items that belong to you in your dock box or in your boat. Hoses should be coiled and hung. Any debris left on the dock will be removed. We will measure your boat from stem to stern. This includes out drive, outboard in the up position and swim platforms. LOA means Length Overall. Please look for signs regarding parking and no parking zones. We have designated loading/unloading zones as well as handicap parking. There is to be no parking in front of any boat or trailer. Management reserves the right to tow any vehicle that is blocking another guest’s boat. If you have any questions about parking please see a marina employee. We ask that guests limit themselves to one vehicle as often as possible. We all like to have a good time. All we ask is that you respect your neighbor. Please keep the noise to a minimum – especially at night. Anyone who is out of control will be asked to leave the marina. Anyone who operates their boat intoxicated is breaking the law and the proper authorities will be notified. The Newburyport Marinas are family orientated, we ask for your cooperation in helping us keep it that way. Pets are allowed but must be on a leash at all times. Owners must clean up after the pets. For the enjoyment of our guests, pets that are not properly attended to will have to be removed from the marina. Per the Fire Department and marina there is to be no filling of inboard boats with portable gas or fuel tanks. Outboard tanks are allowed. Please make sure that all children are properly supervised while on the docks and ensure they wear appropriate life jackets. Children 12 and under must wear a life jacket while on the docks. There will be no running or horse play allowed on the docks. There are to be no alterations to the docks. Please ask permission to fasten fenders and we will assist you with this. No additional cleats may be added to the docks. Guests supply there own water hoses. There is no swimming in the marina. No lawn chairs are allowed on the docks. We reserve the right to rent your slip when it is vacant. Our policy is that when you leave your slip for longer than a 24 hour period please notify the marina office. Give us your name, slip number and expected time of return. With this information we can book transients, make sure there are no unauthorized boats in your slip and, most importantly make sure your slip is open when you return. We ask for your cooperation in the above matters and look forward to your comments or suggestions. If you have a concern, please talk with us. We want to make your marina experience a good one and we also look forward to your input, as well. Preferred Guest members can take advantage of exclusive marina and marina shop discounts, as well as special offers from nearby participating shops and restaurants.